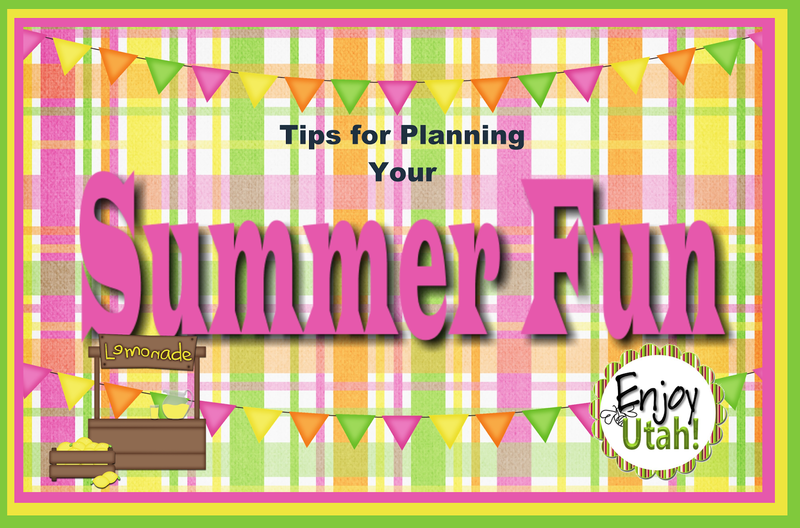 Even though Winter is just coming to an end, now is the best time to check out all the Summer programs going on for 2016 and plan what's most important to you and your family, and what events and activities are on your Summer Bucket List. In my experience, summer goes by way too fast, and if you don't have a set plan, school is already back in session, and all of those grand plans you had for how to spend your summer vacation have come and gone with only a few To Do's checked off of your list. Look at all of the available deals, events and activities that are available in your area. Make sure you are connected with us through Facebook, Twitter and Instagram. We frequently post fun upcoming activities, and staying connected with us on the go is the best way to find out about them! Make a list. Sit down with your family and discuss all of the available activities, and which ones you may want to do. Make a budget. Decide how much you have to spend on summer fun, and in what areas you can splurge, as well as where you would like to save money. There are many bundles packages, such as the Seven Peaks Pass of All Passes, that are a low price for multiple activities. From your list, decide which ones are most important, and add them to your calendar. Start with family vacations and big events that have specific dates, and then fill in around those the activities that are available any time. Schedule down time! With all of the fun events and activities going on, you don't want to overbook and burn yourself out before summer is over. Sometimes the best memories of summer vacation are riding bikes, or playing basketball in the front yard. If you are looking for lots of summer (and year-round) fun, this is the best deal out there, For a limited time, you can purchase it for $14.99. With venues such as Seven Peaks, Utah Grizzlies, Rocky Mountain Raceway and more, this deal can't be beat! But hurry, quantities are limited! Wouldn't it be great, we thought, if there was a way to experience the excitement and adventure of the Amazing Race in just one day? While there were already one-day Amazing Race-type events happening in cities around the U.S., you had to be in a particular city, on a particular day, or you missed out. There was nothing out there where you pick the city, you pick day, you pick the pace of play. And so the Urban Adventure Quest was created. For a limited time you can get this deal for $37.50 for a team.